It's that time of year again... time to get crafting for the holidays! My favorite is Christmas but I always go in order... something about the fall colors that make me feel all warm and cozy inside. Though I have to admit... Halloween is not warm and fuzzy to me. I still have young kids and we don't do "scary". 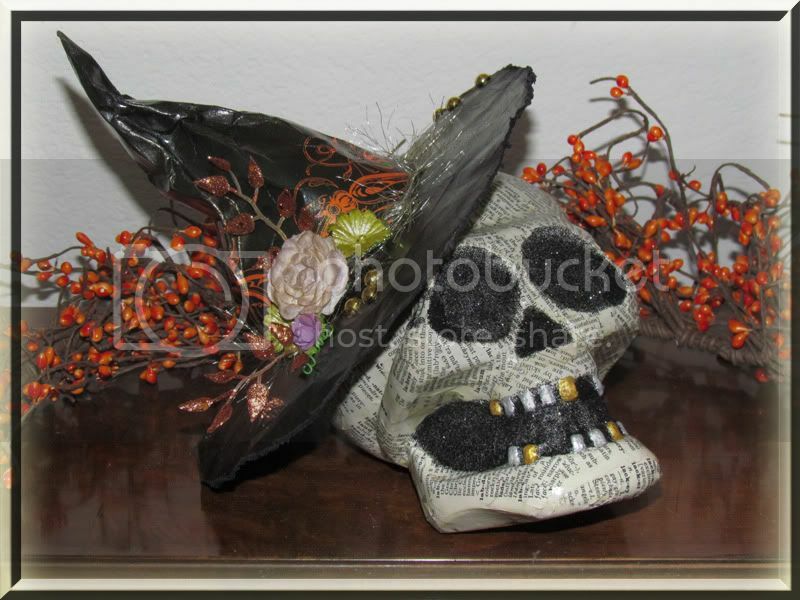 This project is not for my home though the skull is kind of growing on me... It's for a new endeavor I am working on and if you fallow my blog you will learn more about it in the coming weeks. Believe it or not after almost a month of creative block, (yes we all get it) this project came to me in the isle of the $1 store. 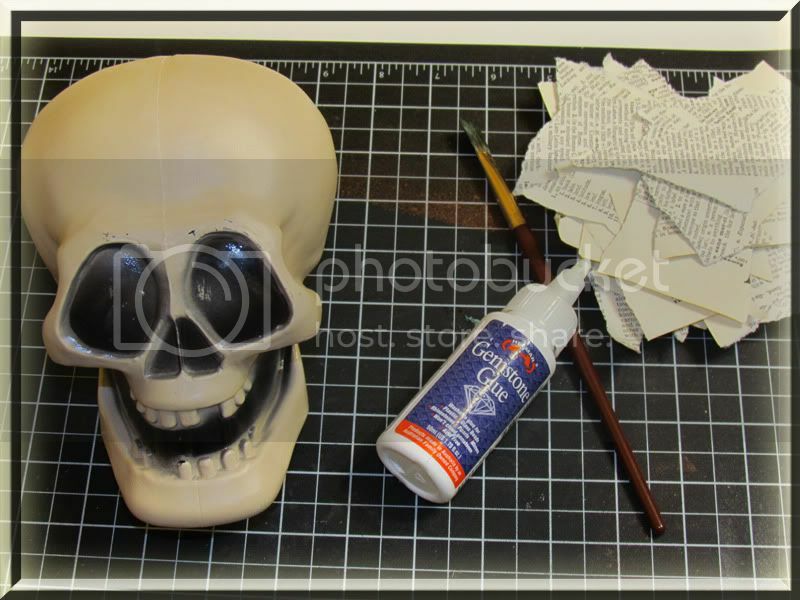 Yup, I jumped out of line and headed over to the Halloween decor and snagged up a cheap… cheesy plastic skull. I almost put it back too, after getting back in line behind about five people that were originally behind me. "What the heck? It's only a $1, right?" I thought, convincing and rationalizing with myself. In the photo below you can see the wondrous thing of beauty that is the $1 plastic skull... with it's poor paint job and bad dental job. Though this looks bad, I rarely “never fear when I have Helmar near”! 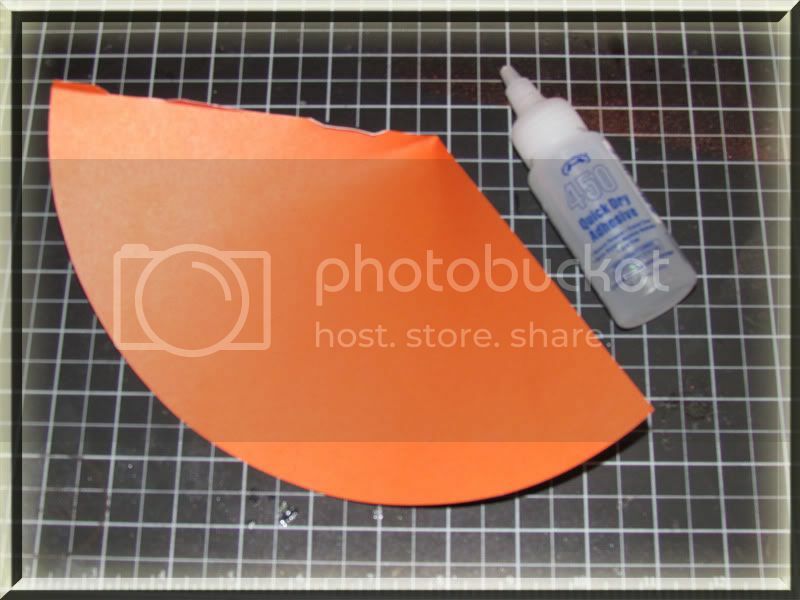 LOL... really I used that handy dandy Glue chart in the upper left column on this blog and found the best glue to adhere paper to plastic. I chose the Gemstone glue. 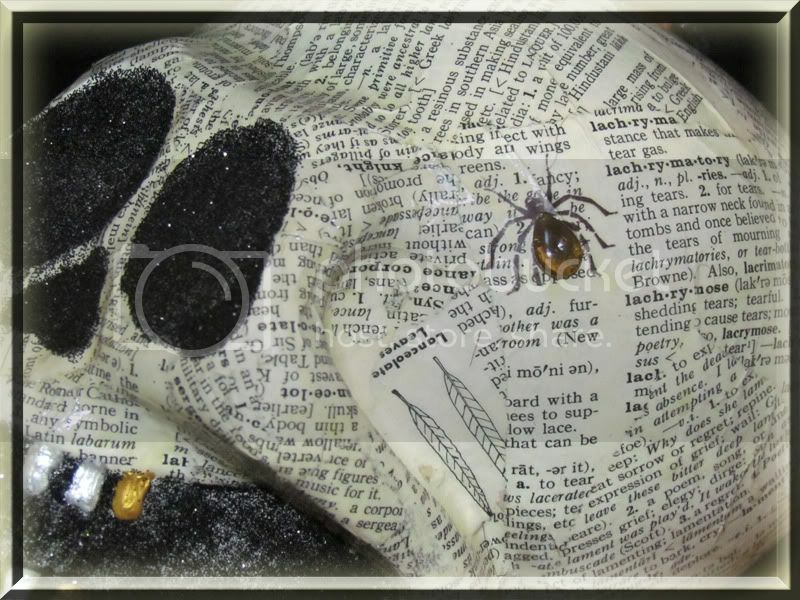 I like in this case that it was not fast drying, I added a bit of water to it also to help the torn pages of the dictionary mould to the shapes of the skull. 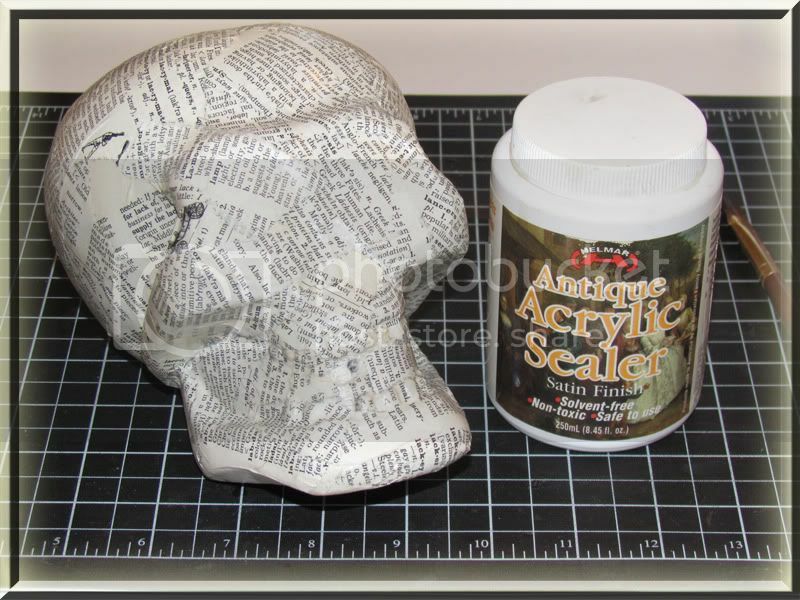 Once dry I added a layer of Helmar's Acrylic Sealer to the entire skull to give it a shinny and sealed surface. Once the sealer was dry I used Helmar's Gemstone Glue to fill in the sockets and mouth with black glitter. 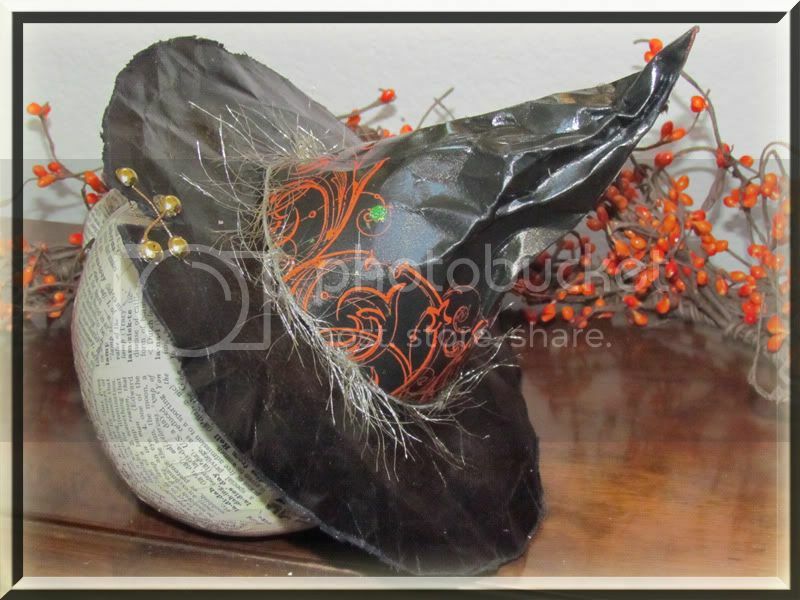 Using some beautiful paper from Robbins Nest I began to create the witches hat. Cutting it into 1/3 of a circle and then using the amazingly fast drying Helmar 450 to create the cone top. I added the brim of the hat also using Helmar's 450. 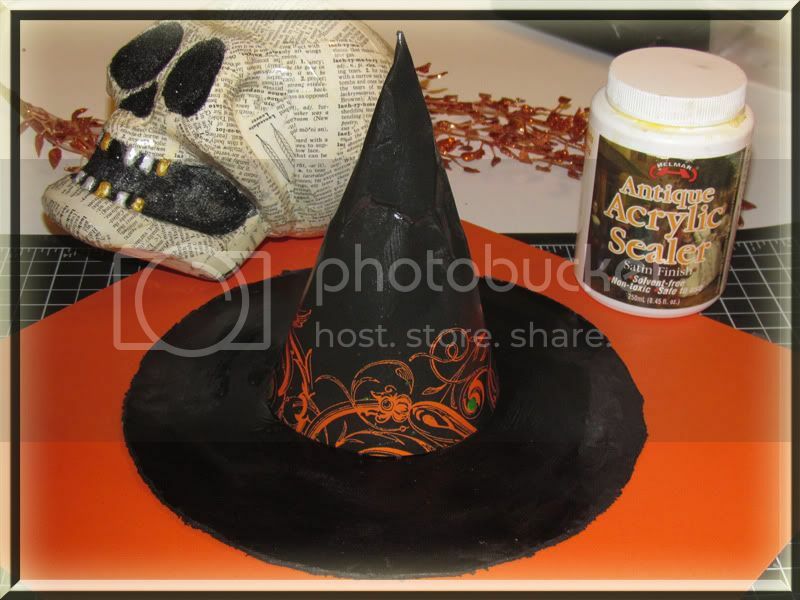 Sealing the hat with Helmar's Acrylic Sealer, I love this stuff, gave the hat just the right sheen. Once the hat was in place the project started to grow on me... Here is the back where you get to see this great paper from Robbins Nest and some of their Dew Drops (Mardi Gras). These are not brads and oh my they are so much easier to use. They look great and give a metal feel. I just had to add this tear on the brim to have another opportunity to work with them. Robbins Nest is such a great company. I love all their products. Though this project didn't have much room to so their rubons I did get to sneak one on it with a Tear Drop (Forest Fun), also another product of the Robbins Nest. The Tear Drop brings this spider to life! I hope you have had a great week seeing the wonderful projects with Helmar and The Robin’s Nest.